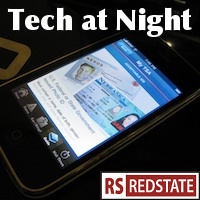 Tech at Night: Claire McCaskill on a Net Neutrality leash, 4G LTE is amazing stuff, Internet censorship doesn’t work Governor Perry: Veto HB 2403, the Texas Amazon Tax! Top story: the great Steven Crowder has a new video on Net Neutrality. With all the hype on Twitter leading up to this release, I was looking forward to Crowder’s video release. It’s funny, accurate, and devastating to the left. As usual for Crowder. Sometimes a patent troll runs into fire. Lodsys, as you may recall, decided to abandon the strategy of targeting deep pockets and went after small-time and single developers. Well, Apple struck back, demanding that Lodsys withdraw threats to iOS developers, and warning that Apple would defend its own rights as a license holder. There’s some rough language, but Twitter user oceankidbilly sums it up perfectly. Heh. Of course, even if they do just reconsider USF reform, I’m still opposed to it, and agree with the Free State Foundation’s call to end it. And while Walden clearly doesn’t mean that, mark my words: when the left talks bout Universal Service Fund reform, they’re talking about an Internet tax, period. Sometimes justice is served. Britain’s courts have been granting “superinjunctions” banning any reporting of certain nasty (but true) things about rich people. Ryan Giggs, soccer star and married father with a formerly squeaky clean image, got such a superinjunction against reporting about his extramarital affair. It got reported on Twitter anyway, and he was ready to sue which is of course ridiculous. The Internet is global and no one country can control it. Naturally Britons aren’t happy with this, and they find ways around it. The Sunday Herald banked on Scottish Law as protection (actual Scottish Law, not the Arlen Specter kind) and teasingly defied the injunction. But now it’s all over for Giggs. You see, these injunctions have a big, gaping loophole, one that’s previously been exploited in fact. It works like this: You can’t bar the news from covering the doings of Parliament, and you can’t punish a Member of Parliament for violating a superinjunction because of the principle of Parliamentary Privilege. So when John Hemming, Liberal Democrat MP of Birmingham Yardley, named Ryan Giggs on the record in the House of Commons, that was all she wrote. Except for when all reporters were free to report what Hemming said about Giggs! Big shocker: Old media wants the government to censor New Media as the National Association of Broadcasters has come out in favor of the PROTECT IP bill which purports to give the government the power to impose a national blacklist on the Internet. Maybe they’ll put Ryan Giggs on it. Or maybe the House GOP will shut this nonsense down, learning from Ryan Giggs and his failure to control the Internet, and avoid giving the Government questionably Constitutional power when it won’t achieve its ends anyway. I’m just saying the name Ryan Giggs again to keep it on the record that he cheated on his wife, betrayed his family, and then went to court to try to keep his image from being tarnished, as it rightfully should be. Because, you know, in America we have the First Amendment and all that. Apparently Google thinks “jailbreaking” or “rooting” your Android phone is evil. The firm says “Don’t be evil,” after all, and will attempt to bar any Android phones under their users’ control in this way from accessing Android Market video rentals. Remember when Android was supposed to be different from Apple’s iOS and all that? Heh.